The box is gorgeous. I always feel the need to hang onto my boxes anyway, but even more so with this... It's so pretty! 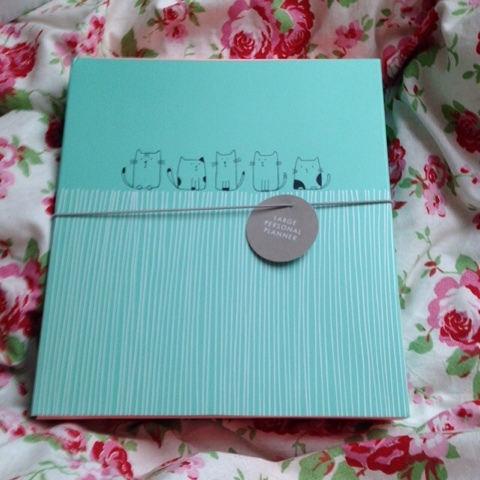 The planner inside was just as tasty! 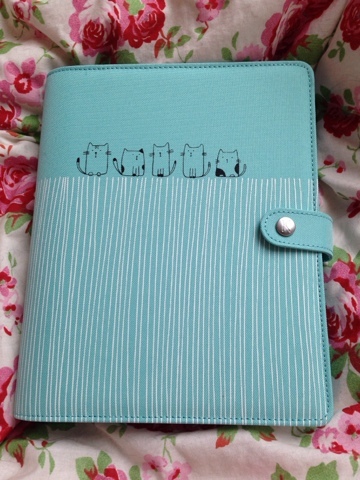 It's a fabric cover with that new planner smell! You know the one I mean. 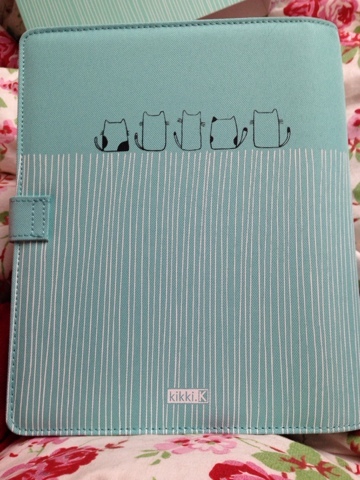 Let's just take a minute as well to appreciate how seriously cute the back is too! 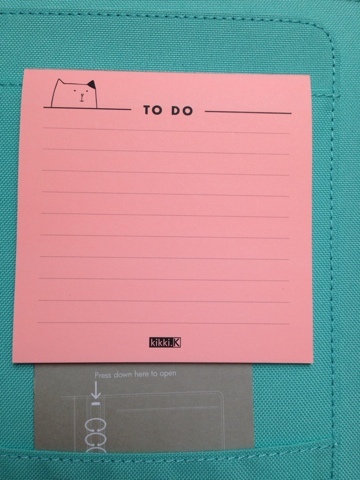 There's the standard array of Kikki K pockets and a seriously cute to do pad. I'm not sure how I'm going to bring myself to write on them because I don't want them to be all gone! 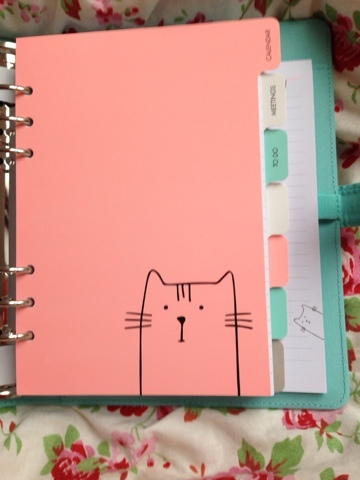 There's a lush collection of dividers with cute designs in these scrummy Neapolitan colours. They seriously look good enough to eat! The first couple of dividers are headed but the rest are blank. 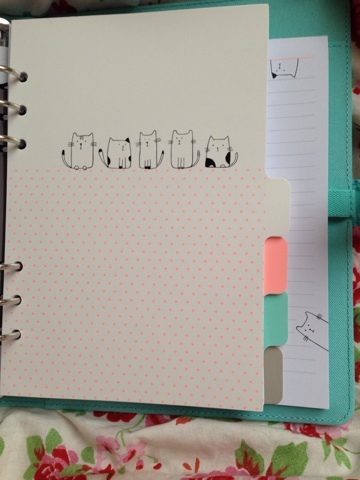 There a selection of stickers so you can use the other tabs for what you want. The blank tabs have all got the same inserts in them. They're not very exciting but easy to jazz up. The only thing that did surprise me was that there was no weekly spread. You're going to need to purchase or swap some inserts to get a week to view. 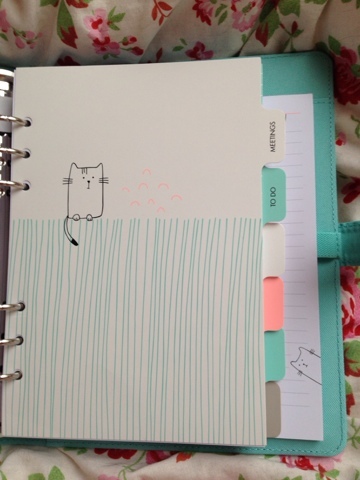 I intend using the pages from my Color Crush. 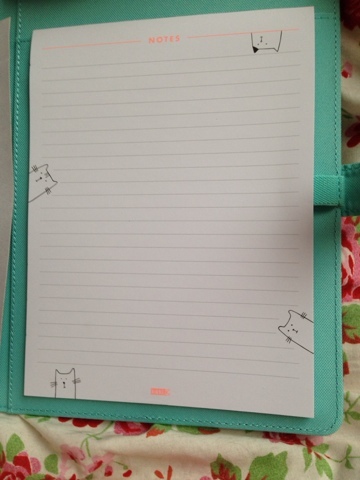 Finally, more cute paper on the notepad at the back with kittens on each edge. Again, not sure I can bring myself to write on it! 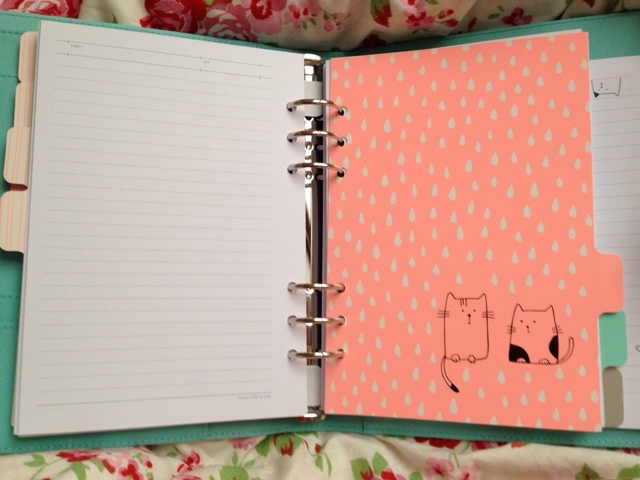 Overall I love this planner, I can't wait to get using it and celebrating my crazy cat lady planner addict status!